David Bowie’s game-starting single, Starman, was released in the UK on April 28th 1972. It eventually peaked at #10, helped in no small measure by THAT appearance on Top Of The Pops. Remind yourself of that last statement with aforementioned TOTPs performance, here. 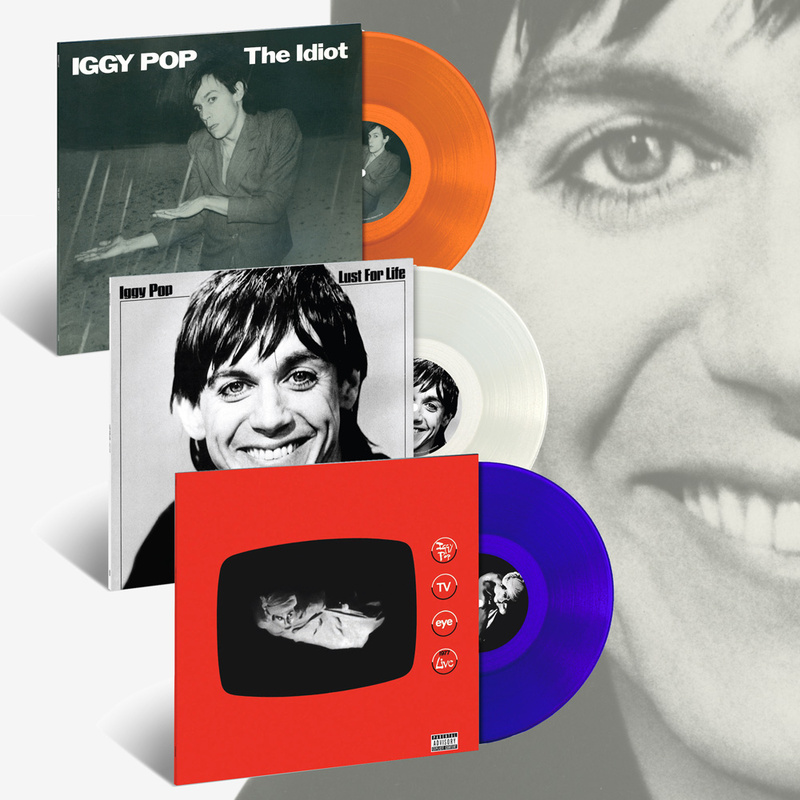 UMC celebrates Iggy Pop’s 70th birthday with limited-edition coloured-vinyl editions of the three albums that David Bowie was a major part in the creation of: The Idiot (on orange translucent vinyl), Lust for Life (on clear vinyl) and TV Eye Live (on purple translucent vinyl). The Idiot and Lust For Life are celebrating their 40th anniversaries this year, as is Iggy’s 1977 US tour that was captured on TV Eye Live. 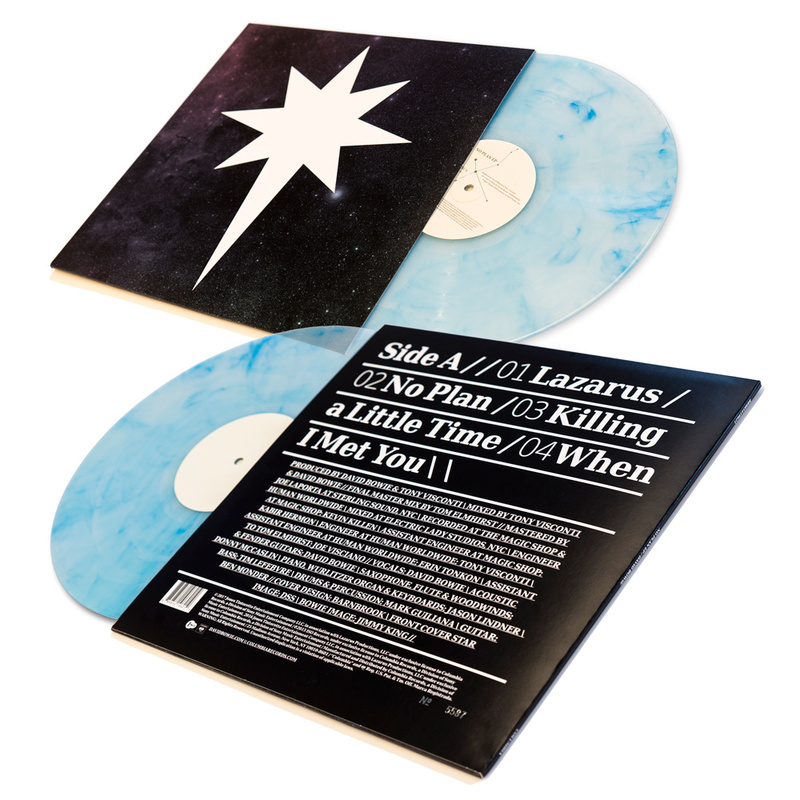 The three new coloured-vinyl releases, which are remastered for the first time from the original analogue tapes, will be released on June 2nd. They will be bundled together in a limited-edition custom tote bag featuring the iconic cover art of The Idiot on one side and Lust For Life on the other, available exclusively here. As Iggy Pop celebrates his 70th birthday UMC celebrate Iggy's singular stature with new limited-edition coloured-vinyl editions of his first three solo albums, The Idiot (on orange translucent vinyl), Lust for Life (on clear vinyl) and TV Eye Live (on purple translucent vinyl). The Idiot and Lust For Life are celebrating their 40th anniversary this year and completing the trilogy is TV Eye Live recorded during Iggy’s 1977 US tour. All three titles feature their complete original cover art and will also be available in standard black vinyl editions. Iggy Pop is one of music's genuine iconoclasts, a walking embodiment of all that is risky and dangerous about rock 'n' roll. He's also an artist of considerable depth, and the creator of a diverse body of work that demonstrates his uncanny ability to defy expectations and explore uncharted creative territory. The Idiot, Lust For Life and TV Eye Live, originally released between 1977 and 1978, marked Iggy's surprise rebirth as a solo artist after the dissolution of his pioneering protopunk band The Stooges. They also marked a timely collaboration between Iggy and long-time admirer David Bowie. Bowie produced, co-wrote and played on The Idiot and Lust For Life, and plays keyboards on TV Eye Live. The three albums form a trilogy that remains a cornerstone of Iggy Pop's album catalogue. On The Idiot, such standout tunes as "Nightclubbing," "Funtime," "Dum Dum Boys" and the original version of "China Girl" (later an '80s hit for Bowie) introduced listeners to a more cerebral, introspective Iggy, often substituting an understated sense of unease for The Stooges' raw aural assault. Iggy's smiling face on the front cover of Lust For Life signals the album's more upbeat vibe than its predecessor, with such numbers as "The Passenger," "Success," "Tonight" and the anthemic title track embodying the album's swaggering essence and Iggy's reenergized creative vision. In contrast with the focused studio craft of The Idiot and Lust For Life, TV Eye Live — drawn from four different 1977 U.S. shows with two different bands, one featuring Bowie on keyboards — captures the controlled chaos of Iggy's raw live performances, with memorable versions of "Lust For Life," "Sixteen" and "Nightclubbing," along with The Stooges’ standards "I Wanna Be Your Dog," "I Got A Right" and "T.V. Eye." The Trouser Press Record Guide called Iggy Pop "a walking, talking one-man melodrama, reflecting both the scary, stupid extremes of rock and its fearless, indomitable spirit. From his early days fronting The Stooges through his surprising reincarnation as a solo artist in the late '70s, to his ongoing search for fulfilment up to the present day, Iggy has maintained the blend of restless intellect and animal hunger that gives his music its raw vitality." Nowhere is Iggy Pop's hard-hitting hybrid of head and heart reflected more strongly than on The Idiot, Lust For Life and TV Eye Live, which now sound better than ever in these definitive vinyl editions. 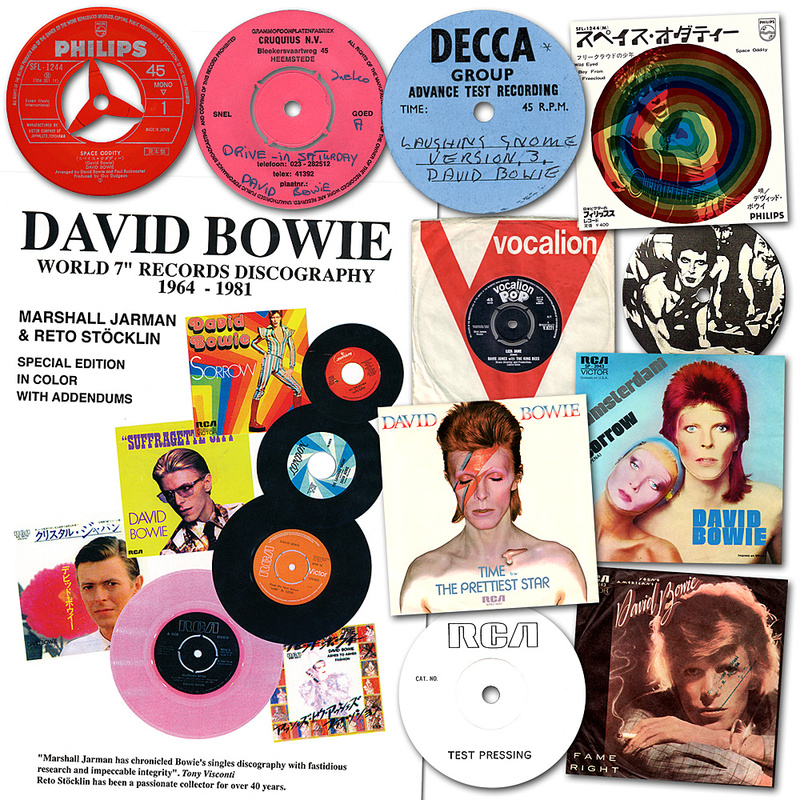 The Official Charts Company (OCC) has announced that David Bowie is the best-selling artist of Record Store Day 2017. Patient Bowie fans queued for hours (some since the previous night), to be first in line to snap up exclusive RSD Bowie vinyl on Saturday morning (22nd). The clear blue vinyl No Plan EP qualified for the Official Singles Chart and when sales of the traditional black variant (released on vinyl 12" on Friday) were included, the EP rounded out the weekend as the biggest selling vinyl single, hitting the Official Singles Chart Update Top 40 on Monday. Cracked Actor tops the list of albums exclusively issued for #RSD2017, while the BOWPROMO release finished as the second best-selling exclusive. Both impacted the Official Albums Chart's midweek update on Monday. Record Store Day organisers, the Entertainment Retailers Association, (ERA) will provide a full analysis of RSD UK later this week, with a look at sales figures, the new stars of Record Store Day, and insight from indie retailers about the sheer number of fans who came to their stores across the country. Thanks to all of you that partook of RSD 2017 to make it such a huge success. I had the good fortune to see one of the earlier versions of the Diamond Dogs tour in New York. It was the most ambitious stage design I had ever seen for a Rock show. There was a suspension bridge between two towers. David would disappear and reappear minutes later at the top of the bridge. As he sang Sweet Thing the bridge would descend to the bottom and he stepped off to finish the song on the stage. He also sang Space Oddity into a telephone whilst suspended over the audience, sitting in a chair attached to the arm of a cherry picker. These mechanical props often malfunctioned making a night to remember. The choreography was created by Toni Basil, another first, for the interactive dancing between David, Warren Peace and Gui Andrisano. By the time the tour reached Los Angeles the personnel had changed and the band was smaller. Michael Kamen left the tour and Mike Garson played all the keyboard parts. Carlos Alomar and Luther Vandross were added as well as an American based rhythm section. By then the band was well greased and the show went off like clockwork. David was a lot looser, he seemed to be ecstatic that night; so apparent with some very adventurous, almost acrobatic, interpretations of his older songs and his quirky banter with the audience. The set changed a bit from earlier shows although most songs were a combination of Diamond Dogs and older classics. Now very pleased with the Young Americans album we had recorded during a tour break he introduced some new songs without saying the name of the new album. They were It's Gonna Be Me (very well received) and a frantic paced finale of John I'm Only Dancing (Again). Before the long instrumental outro had finished David was already being driven away in his limo. A solemn voice announced to the audience clamouring for an encore, “Mr Bowie has left the building." Revisiting this era in the post-Blackstar period had me a little choked up. David used to sit just behind me when we were working on that album and now I was mixing his incredible vocal performances from 1974. I couldn't help turn to where he once sat and ask, “Well, what do you think of that mix?”. Thanks Tony, that’s made a few eyes leak. Go here for more detail regarding Cracked Actor. "When all your faith is failing, Call my name"
Thirty years ago today, David Bowie released his seventeenth studio album, Never Let Me Down. The album hasn't weathered well over the years...it's had a track surgically removed from it, never to be spoken of again, and even its creator didn’t have the nicest things to say about it. Despite all this, it did reach #6 in the UK album chart back in 1987 and was certified gold three months later. Three singles were released from the album: Day-In Day-Out, Time Will Crawl and Never Let Me Down, all of which reached the UK Top 40 and the accompanying Glass Spider Tour was also a huge commercial success. If you've not heard it in a while, give it another spin...it's better than you probably remember it. That's a clutch of European press adverts for the release illustrating this item. Back in February when we told you about the numbered, limited edition (one-run only), clear blue vinyl 12" of the No Plan EP (produced exclusively for independent record shops), we stated that it would be released internationally on April 21st. That’s still the plan in North America, but the UK has it as a Record Store Day (RSD) only release, which is this coming Saturday the 22nd...as if you didn’t already know. There may be other territorial adjustments, but either way it’s probably best to check that your local emporium is stocking the record before you make the trip. Links below to full RSD release schedules. With all the attention on the release of a fifty-year-old novelty song today, the twenty year anniversary of the Dead Man Walking single seems to have been somewhat overlooked. Released on April 14th 1997, the song was written by David Bowie and Reeves Gabrels and released as the third single from the 1997 Earthling album. The video was created under the genius direction of Floria Sigismondi, who fans will be aware of via other startling videos and photographs she created for Bowie. Go watch the full thing now over on the Floria Sigismondi site, and have a poke around for other great Bowie content while you’re about it. FOOTNOTE: The Easter observers among you may have noticed the perfect timing of Gail’s crucifixion mask. If not, you have now. Continuing on from fan-produced Bowie items we mentioned last week, we thought we’d mark today’s 50th anniversary of the original 1967 release of The Laughing Gnome 7", with a look at something relevant to that. “When I published this book way back in 1994, it cost me £12,000 and I took back £10,500 in sales, so my own copy was rather expensive. A project such as this isn't exactly Harry Potter! Then lots of people were angry 'cos they expected a free copy for sending me a photocopy. This didn't encourage me to update it. You can own this new updated edition for less than the typical cost of a second-hand original copy on eBay. Also, check out this dedicated FaceBook page. Hard to imagine in these days of instant news distribution, just how important the likes of Terry O’Neill were (particularly Terry O’Neill), in keeping us in tune with Bowie’s latest look via daily newspapers and the music press. Indeed, aside from the lucky attendees at the Marquee filming sessions in October 1973, the first glimpse fans got of Bowie’s latest sartorial sensations was via Terry O’Neill’s centre page photo spread in the Daily Mirror, considered important enough at the time to be highlighted on the front page. Now, 44 years later, Terry has compiled a slim, and quite beautiful volume of the pictures from the filming, as outlined in the blurb below. When David Bowie played The Marquee Club in October 1973, most of those who attended at this famed small venue did not realise that this would be the last performance Bowie would ever give as Ziggy Stardust. Terry O'Neill, celebrated photographer, was given unprecedented access to document the event; a command performance for the American television program 'Midnight Special' and a show Bowie would name 'The 1980 Floor Show.' O'Neill captured Bowie and his crew backstage as they went through costume changes, and on-stage Bowie as he transformed into the character he'd soon put to rest. As O’Neill dodged television cameras and lights, he captured this significant moment in music history. O'Neill remembers "Bowie became a character when he performed. As much as a person takes a role in a play for the West End or on Broadway, learning the lines, putting on the costumes - this was, I think, the way he treated his stage. 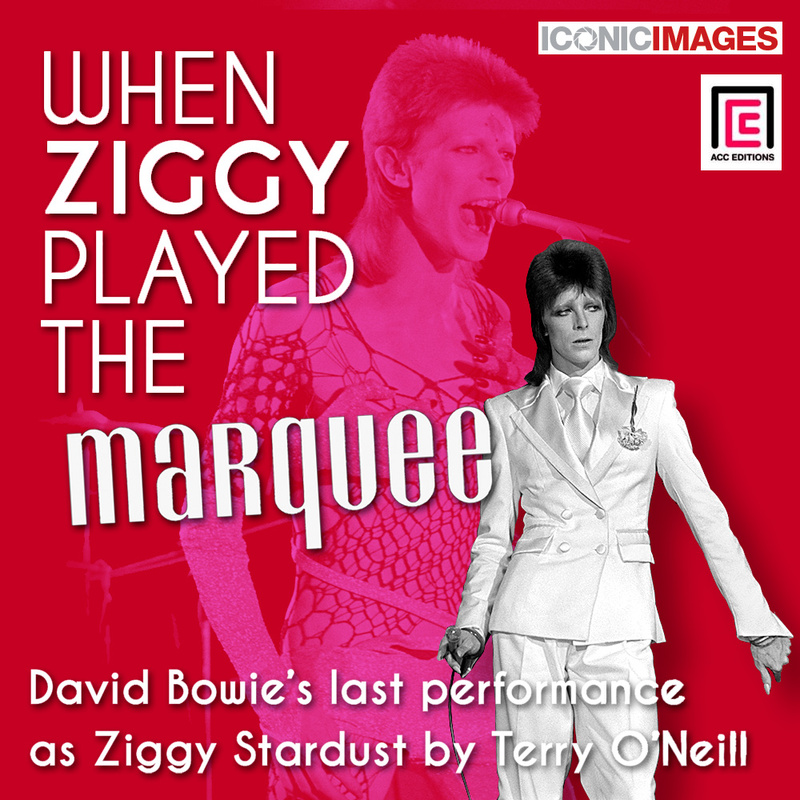 That night at the Marquee, I witnessed a modern-day Hamlet - and it was Ziggy Stardust". Award-winning music writer Daniel Rachel interviews key contributors from that day, including O’Neill, Ava Cherry, Amanda Lear, Suzi Ronson and Geoff MacCormack – along with new insights and memories from fans who were in the audience who played witness to this incredible moment in music history. This stunning paper-over-board book with a printed case will be packaged with a clear neon acetate jacket. 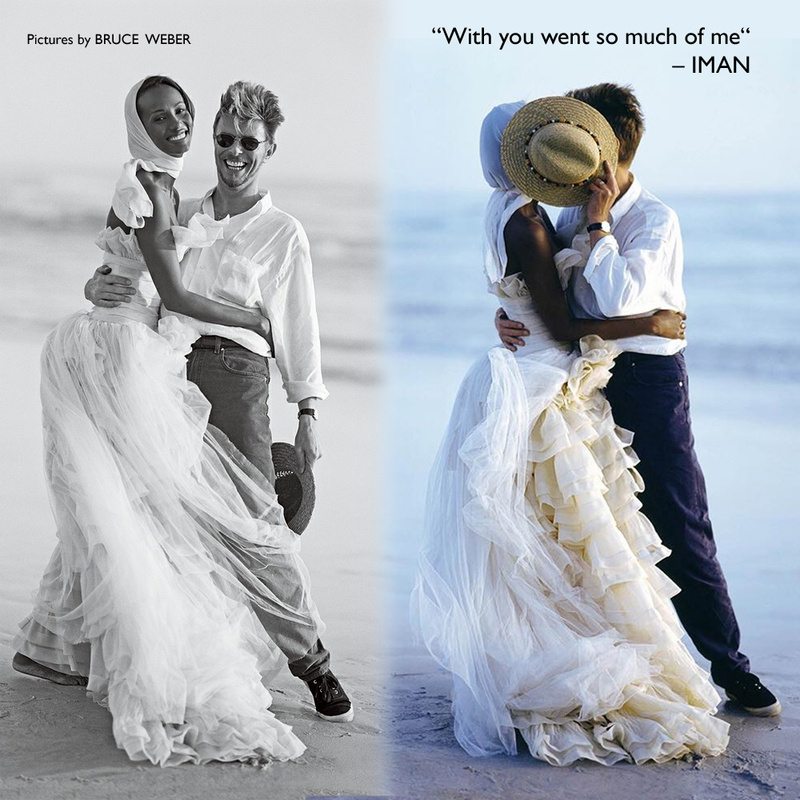 Stay tuned for some exclusive, previously unpublished images from the book. Following on from last month’s exclusive BBC first play of the Bombers/Andy Warhol Intro from the BOWPROMO RSD release, a rare early mix of Kooks from BOWPROMO is to be given its first official radio play on Rick Wakeman’s Key To Keys programme. 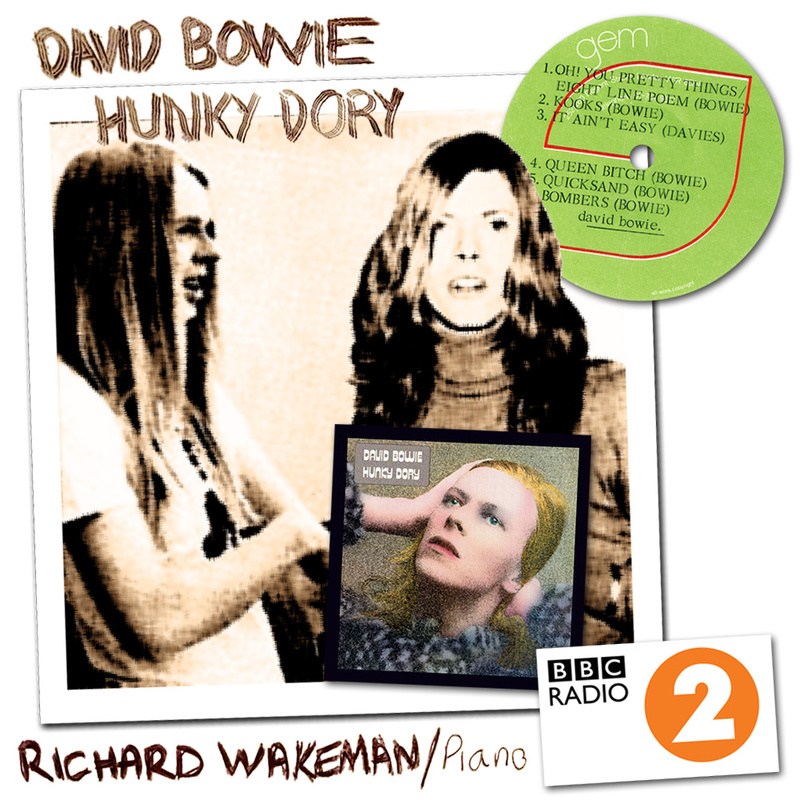 Rick played piano on the original recording of Kooks, among other tracks on the classic 1971 Hunky Dory, such as Life On Mars? and Quicksand. During the show Rick also plays some of his other favourite and notable keyboard tracks. He is joined at the Radio 2 Elton John piano by his son Adam, who will discuss his father's influence on him and his own work with Black Sabbath, Annie Lennox, Will Young, Atomic Kitten, Travis and 10cc, amongst others. Rick Wakeman’s Key To Keys is broadcast on BBC Radio 2 on Easter Monday, April 17th, 9.00 - 10.00pm. 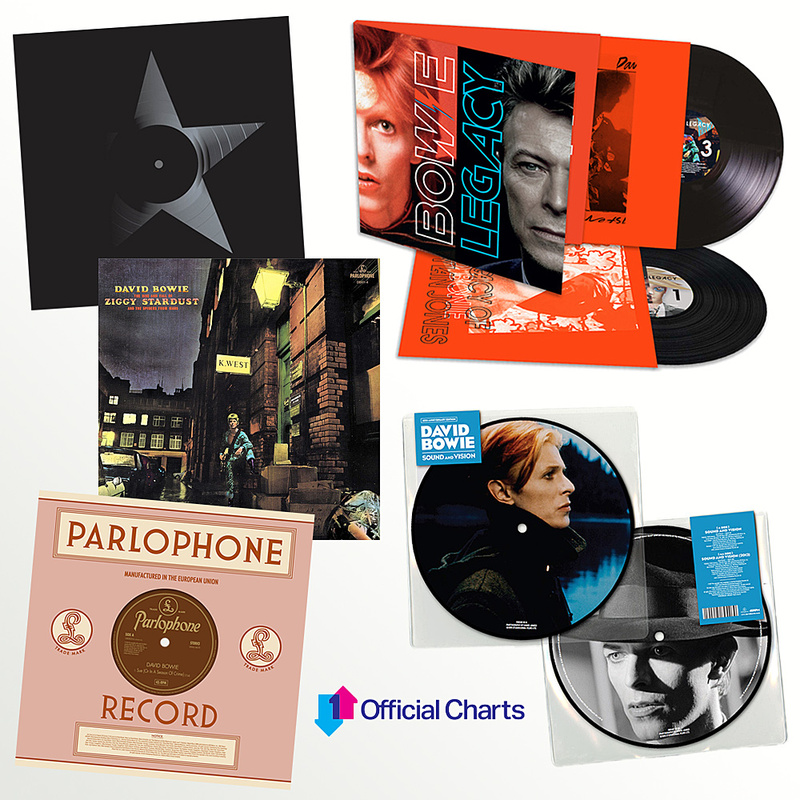 Many thanks to the David Bowie vinyl buyers out there, as his releases continue to perform very well on the UK’s Official Vinyl Charts. 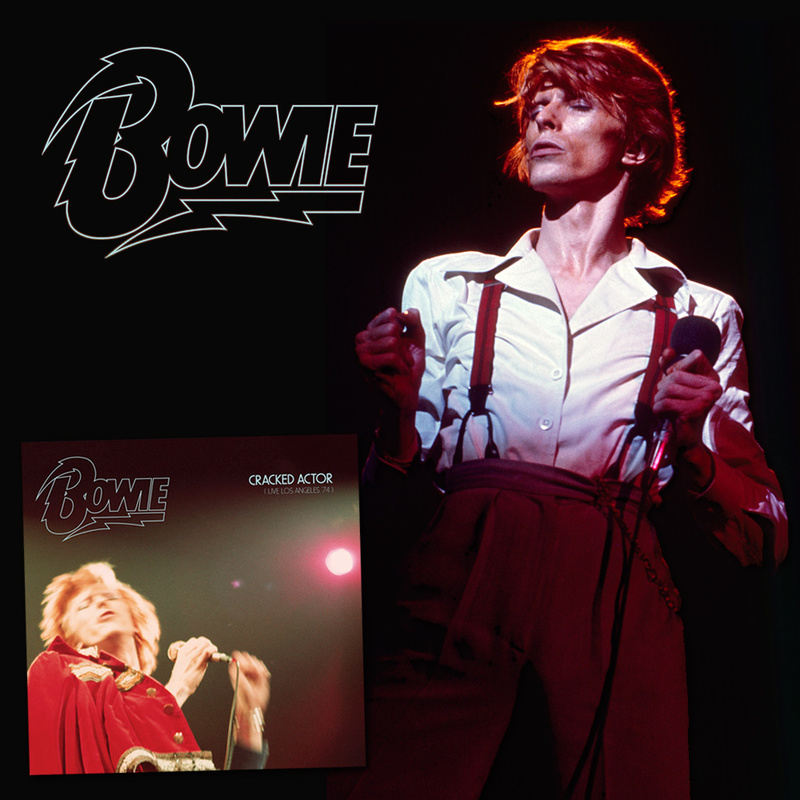 The Official Charts Company have announced this morning that the Sound And Vision 40th anniversary picture disc is the best-selling vinyl single in the first quarter of 2017, and that there are three Bowie albums in the Official Top 40 bestselling vinyl albums of 2017 so far, including last year’s best-selling vinyl album, ★. In our recent piece regarding the first Ziggy Stardust gig at Aylesbury Friars on January 29th, 1972, we promised an exclusive first look at an even rarer Bowie Aylesbury Friars poster than the one for that January show. On 25th September 1971, Bowie chose Aylesbury Friars Borough Assembly Hall to showcase much of the forthcoming Hunky Dory album. Initially performing as a duo with Mick Ronson, the show cranked up somewhat with the addition of new boys, Woody Woodmansey and Trevor Bolder. Later still in the set, ex Animal Tom Parker played piano. With a ticket price of 50p, that works out at approximately three and a half new pence per song! Anyway, our montage shows the original poster for that very show along with a shot of DB, purportedly from the night. Until recently, the delightfully, diminutive John ‘Bamalama’ Brett, was thought to own the only copy of the poster to have survived, albeit incomplete and a bit ragged. However, David ’FD’ Stopps (head honcho at Friars since the birth of humankind), recently acquired a complete poster in great condition. As part of the Aylesbury Bowie Statue Campaign, a numbered reproduction of the poster will be made available as one of the pledges. You can still support the project here. To bring things full circle, the only surviving Spider, Woody Woodmansey, will play the town again on Monday (April 3rd) for the first time since 1972. Along with his Holy Holy outfit, Woody will be performing the Ziggy Stardust album in its entirety, along with at least three songs from the above setlist and more. If you’re hoping to attend, you’d better be quick, tickets are almost sold out. Full tour here.